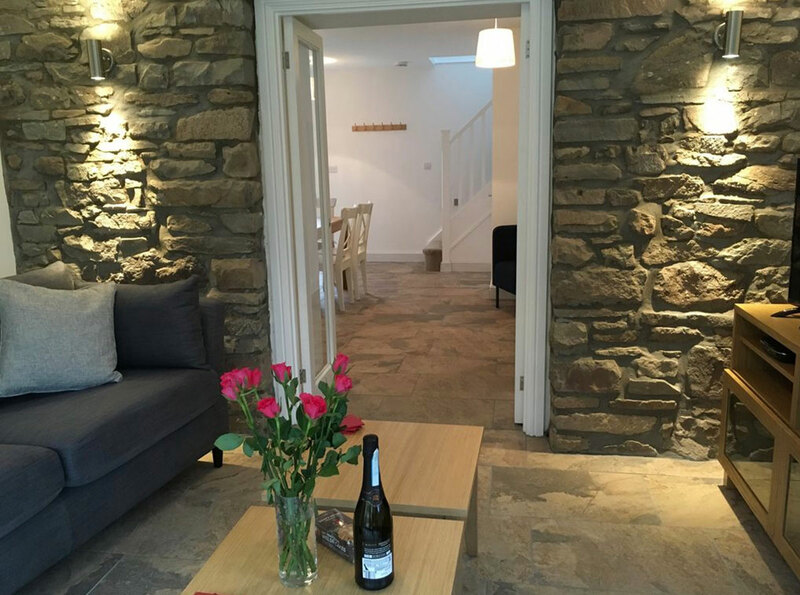 Ty Glo Cottage is a converted barn across the yard from our 4 bedroomed Llwyn Llwyd Cottage which is also available to rent. Our family home also shares the courtyard. Two bedrooms and 2 bathrooms on the first floor. The cottage can sleep up to 5 guests in 2 king size beds or 4 smaller singles plus one extra single bed. Free wifi via satellite throughout cottage. Linen and towels included for your stay free of charge. Electric heating included throughout your stay. Stunning west facing views from the enclosed garden where incredible sunsets can frequently be observed. Bathroom facilities are on first floor therefore ability to walk up the stairs is essential. We have simple Terms & Conditions. Please read them before booking.